Lockwood de Forest had a long, successful career as an American painter and designer during his lifetime. When only 22, de Forest already had two of his paintings on exhibit at the National Academy of Design in New York. He traveled the world and the United States, from New York to Santa Barbara where he retired and continued to paint landscapes of the California coast. 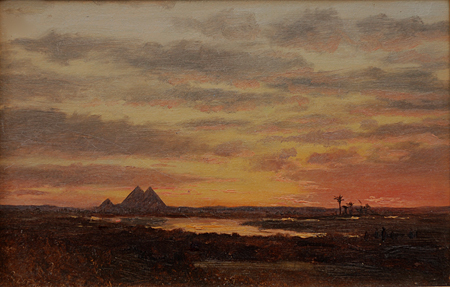 In 1875, 25 year old de Forest traveled to Egypt, sailing along the Nile in a dahabeah for two months, drawing in his sketchbook and creating oil sketches of the views. 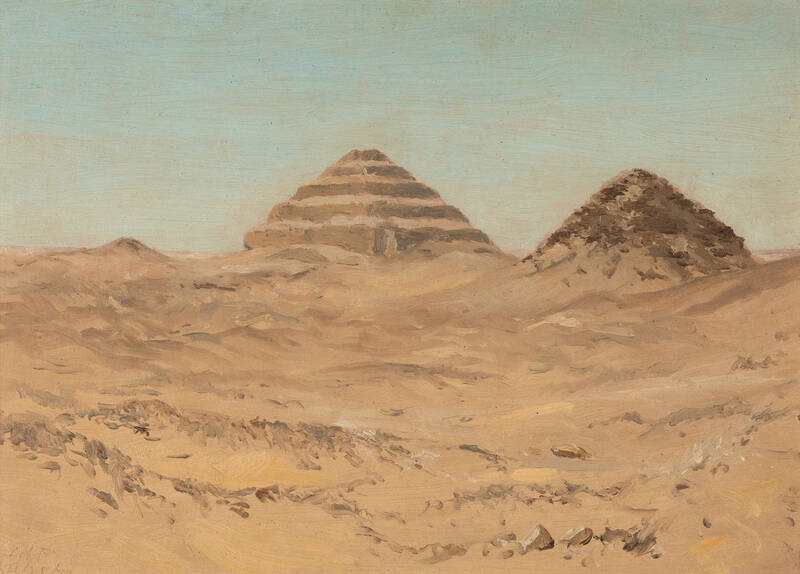 Unlike his predecessor—the artist David Roberts whose lithographs have remained some of the most popular illustrations of Egypt’s ancient sites in the 19th century—de Forest’s paintings often captured the light of the sky, the darkness of evening, and the ambiance of the stark landscapes. 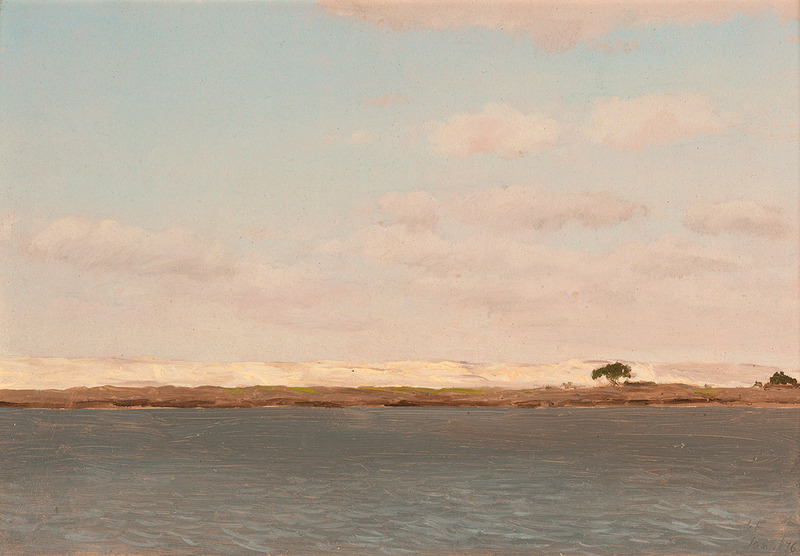 His paintings and oil sketches are filled with the silence of the desert and the solitude of the river. Today, appreciation for de Forest’s artwork is being revived by galleries and collectors. Though Egypt has changed, developed, and overpopulated over the past century, de Forest’s paintings remain contemporary and poignant, encompassing the light and the mood of the country which can still be found, though ever more remotely. 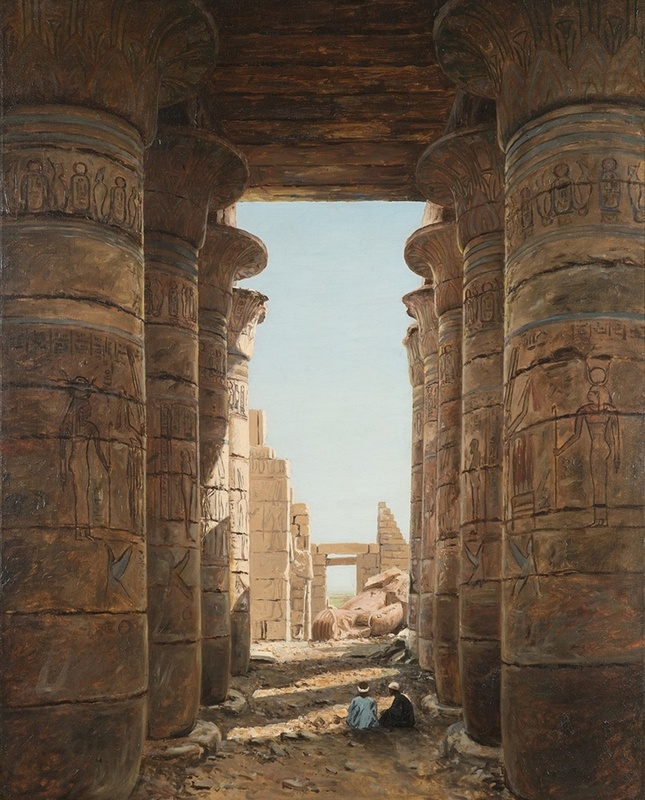 This entry was posted in Egypt News - Environment & Egyptology. Bookmark the permalink. Celebrating World Wildlife Day! 30% Off AUC Press Nature Foldouts!